Universal design is the practice of remodeling a home in order to accommodate aging or disable residents. However, anyone can use a home that has been universally designed, whether ill or healthy, short or tall, young or old. Some people may just like the larger areas and less obstructive construction. Universal design is simply a design that makes life easier. Wide hallways, extra floor space in rooms, and other small but meaningful changes are used in Universal Design to improve the quality of life of residents. What makes a home Universal? 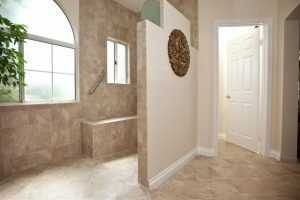 There are hundreds of options to convert your home to universal design. Anything that can be used to make life easier for the residents is considered universal design, not just the things listed here. To get an estimate for your universal design remodeling, call 281-789-4308 or contact us online today.